Pureed diet is of great benefit for those who are looking to lose some weight and are finding it hard to chew food properly and swallow it. Here the food is cut into small pieces and grinded well to make a thick paste. The food thus prepared is soft and smooth. This way the people find it easy to have it without giving much ores sure to the teeth and the throat. You can easily swallow this form of food and it also gets digested fast. Such pureed diet is ideal for people recovering from an illness and those who have undergone some surgery like jaw, mouth or gastrointestinal tract surgery. People suffering from dysphagia are offered this type of diet. In this diet, all foods that you have to chew are excluded. Raw vegetables, salads, fruits, chicken chunks, dried foods, hard nuts etc are not included in this diet. Gelatin is also not included as it is a slippery food. You must also avoid taking foods that are sticky like taffy, peanut butter, caramel and so on. You may have commercially made foods like smooth and soft custards, apple sauce, baby food etc. If you consume breads, soups, pasta, meat and so on. Cook them well and then make a puree out of them. To make a puree, you have to first peel it and remove the skin. If it is meat, remove all pieces of bones from it. In case of fruits and vegetables with seed, you have to remove all the seeds from them before you make the puree. Next, you have to make it soft by different methods according to the nature of the ingredient used for making the puree. You can apply various cooking methods like boiling, baking, braising and so on. After that you can grind them into a puree by using various appliances and techniques. Before making the puree, you must check the appliances and tools well and ensure that they are clean and sterilized. As you grind the food, you can add liquids like water, milk and broth. This way the puree made is smooth and has a cohesive consistency. You must try not to use thick skinned as well as stringy and seeded foods like onion, nuts, celery etc for making puree, as it is not possible to make a fine puree with these ingredients. The tender consistency of the puree makes it easy to swallow. The food boluses remain intact in the mouth as you swallow and this prevents disintegration of food, which may cause it to enter in to the lungs and so on. So, it enables your body to carry on its other functions like breathing. Make sure that the consistency of the food is such that you can pick it with a fork and have it. When you make the puree, ensure that the ingredients used are rich in all essential nutrients needed by your body. It must make you healthier and more energetic. The puree you make must be rich in essential proteins, fiber, minerals, vitamins and so on. It should also be beneficial for strengthening your immune system and keep you strong. 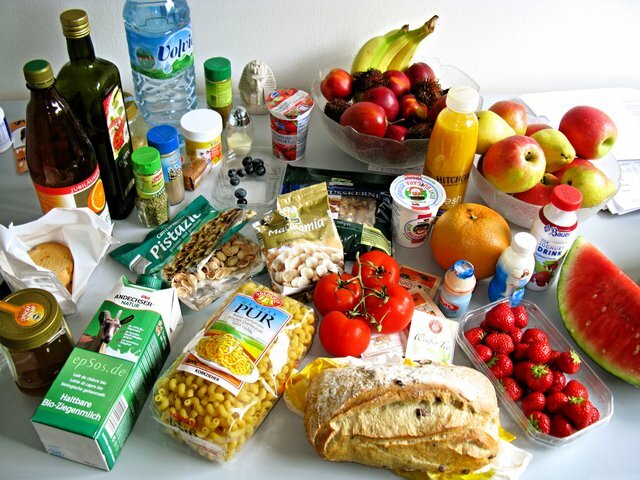 Include various fruits and vegetables, meat as well s lots of liquids like juices, broth, milk, water and soups. This way you are sure to get all nutrition you need. The time span for consuming pureed diet depends on the nature of the disease and the intensity of the disease. If one has suffered from strokes, he will have to continue on this diet for a few days. People with throat cancer will have to carry on with this diet throughout their life. People who are on a weight loss spree need to ensure that they follow the tips suggested by their dietitian. So, you must consult your doctor and take his advice as to how long you should have this diet. Blend meat and broth well in a blender and add salt and pepper. Blend the vegetables and liquids in a blender till it becomes a smooth paste. Once it is soft and smooth, add salt and pepper to taste. Cur meat and vegetables and blend all the ingredients well in a blender. Add margarine and salt to milk and simmer in a saucepan. Ad mashed potatoes and blend well. See that no lumps are there in the puree. If it is very thick, you can add hot water till you get the desired consistency. Blend steak in a blender till smooth and then add other ingredients and blend till you get a smooth puree. It is important that you are very careful about the textures of the food that you blend together. Do not mix chicken broth with chicken chunks and non pureed noodles as it can be quite dangerous for patient. The puree that you make must be soft and smooth, without any solid particles or lumps in it. Sometimes it may so happen that the food one swallows goes into the wind pipe and cause choking of the wind pipe, which you may not be aware of. This silent choking can lead to other fatal diseases like pneumonia. So, this diet should be consumed under the guidance of a medical practitioner. A pureed diet is not as dull or bland as you may think. You can still have your favorite food and enjoy the flavors you love, without taking much trouble to chew and swallow it.